Mormon surveyors worked in Utah’s Uintah Mountains during the construction of the transcontinental railroad. Courtesy of the Utah State Historical Society. In 1868, Union Pacific, desperate for workers and approaching Utah Territory, needed to recruit a lot of workers, including surveyors who knew the lay of the land against the intimidating Wasatch Mountain Range. Who better for this job than Mormon leader Brigham Young, who not only had access to a large number of workers, but also men with the discipline and sobriety of their faith? In fact, Mormons were so influential in the building of the railroad tracks that songs were even written about them. For friends and relations they’re longing to meet. Hurray! Hurrah! The railroad’s begun! Three cheers for our contractor, his name’s Brigham Young! Union Pacific Railroad workers construct tunnel no. 2 at the head of Echo Canyon, Utah. Courtesy of the Utah State Historical Society. Mormon laborers grade the Union Pacific line at the mouth of Weber Canyon, Utah. Courtesy of the Utah State Historical Society. Despite working hard and being praised for their skill, there was a huge debt scandal and many Mormon workers weren’t paid for months, sometimes not at all. (Stewart, 177) One good thing did come from this experience: working with the Union Pacific gave Utahns the knowledge of how to make their own railroads rather than relying on big companies like the Union Pacific for future building. More importantly, it armed Utah with the economic power to grow. (Miller, 122) Having the manpower and new income, Brigham Young could now choose where the next railroad line would go and thus have a direct route pass through Salt Lake City. The railroad brought change to Utah, which was unsettling, but it also brought a bigger barter system, immigrants, and information. Brigham Young knew he couldn’t stop the railroad from coming. So, he prepared for its inevitability, making sure his people didn’t miss out on the economic opportunity and at the same time showing the world that the Mormons were a hardworking, selfless people (KUED). “Notice,” Deseret News, June 17, 1868, 4. Emrich, Duncan, ed. “Echo Canyon” in Songs of the Mormons and Songs of the West, from the Archive of Folk Song. Washington, D.C.: Library of Congress, 1952. Miller, David E. The Golden Spike. Salt Lake City: Utah State Historical Society, University of Utah Press, 1973. Stevens, Thomas M. “The Union Pacific Railroad and the Mormon Church, 1868-1871: An In-depth Study of the Financial Aspects of Brigham Young’s Grading Contract and Its Ultimate Settlement.” M.A. Thesis, Brigham Young University, 1972. It was a typical Monday night in Salt Lake City, Utah, until gunshots echoed off the one hundred-year-old floors at Trolley Square Shopping Center. Six people were killed including the rampaging shooter, and four were injured; nothing would be the same for people everywhere. This tragedy would become part of the history of Trolley Square, Utah, and the nation. The Salt Lake Tribune article, “Trolley Square: A Brief History,” gives a summary of Trolley Square: “It is in a historic area of Salt Lake City that Brigham Young in 1847 designated as the 10th Ward when he was gridding the city into neighborhoods.” The area also served as territorial fairgrounds until 1908 when Union Pacific Railroad executive E.H. Harriman made it the base for his new trolley car system. Harriman would invest $3.5 million (roughly $88 million in 2012 dollars) to build the complex including a carbarn building to house the trolley cars, a repair shop, and a paint shop. The Utah Light and Railway Company was formed and author Jack Goodman noted, “The company grew from a merged trio of streetcar companies whose rails once laced the city. One of those antecedent companies had used horsecars at its birth.” (Goodman, 146) The Salt Lake Tribune reported on February 17, 2007: “At one time, more than 144 trolleys operated from mission-style car barns erected at the site.” The new company and street cars went all over Salt Lake and beyond with 146 miles of track. They served the public until they were shut down in 1945. The renovations transformed a dirty car barn in an old lot to a beautiful shopping destination. News outlet KSL noted that the 97-foot-tall, 50,000-gallon water tower was changed into a landmark and is now used to indicate the local weather forecast. Goodman noted that Trolley Square Mall had one of Utah’s first skybridges that spanned 600 South to get pedestrians safely from the parking lot, across the busy street, and to the complex. (Goodman, 146) In 1973, after the renovation, Trolley Square was added to the register of historical sites by the state of Utah. It was later added to the National Register of Historic Places in 1996. Four years ago, in 2008, the mall celebrated its centennial anniversary. The Square quickly became and remains one of the state’s most popular attractions, offering unique shopping, dining and entertainment in a charming, historic atmosphere. KSL reported, “Trolley Square welcomes over 3 million customers each year. Approximately 30% are tourists, making Trolley Square the second most visited tourist site in the city.” With two major malls/shopping districts being constructed since that article was written, that number has surely decreased, but Trolley Square is still a special shopping destination with stores found nowhere else. This was the first part of this horrible crime. Talovic, it was discovered, killed a father and wounded a son in the parking lot and then ten steps into the mall shot at a man, a young woman and an unarmed security guard. As he roamed the mall, he then killed a young woman, according to the official Salt Lake City Police Department report. The shooter continued through the mall firing his guns and reloading constantly. People ran and hid in fear hearing shots, breaking glass and screams. In “Trolley Square: Emotionless killer gunned down victims randomly,” The Salt Lake Tribune reported, “The gunman made his way down the hallway, where he opened fire once again, this time into a gift shop with several people inside. Gunshots shattered the storefront glass, striking and killing at least three people.” Patrons of the mall fled in fear as the gunshots continued to roar throughout the building. After the massacre in the gift shop Talovic came across an off-duty police officer and his wife. The Deseret News reported on February 18, 2007, that his wife “called 911 and explained to dispatchers that her husband was a police officer, giving them a description of what he was wearing.” Once the police officer was engaged, the standoff began. The officer ordered Talovic to drop his weapon, but he refused. Multiple shots were fired between the police officer and the shooter. During this time, the Salt Lake Police were in action with officers en route and one already at Trolley Square. The solo officer entered the building, witnessed the standoff and came to the aid of the off-duty police officer. The shooter took cover in a nearby store while the officers hid behind posts. Occasional shots were exchanged between the officers and the gunman. Orders were given and ignored by Talovic. Finally SWAT (Special Weapons and Tactics) officers entered from behind the shooter and witnessed him shoot at the other policemen. They opened fire and ended Talovic’s killing spree. Pat Reavy of the Deseret News reported on February 18, 2007, that “it was just seven minutes from the time the first person was shot in the west terrace parking lot to the time the gunman was killed, the district attorney’s office said.” In that brief seven minutes, six people, including a 15-year-old teenager, were dead, and four people were hospitalized with serious injuries. Forensic teams closed off the entire four-block area and started piecing the puzzle together. Police investigators did not have leads as to what Sulejman Talovic’s motives were. The Deseret News reported, “Detectives as of Friday had found no evidence that violent video games may have influenced Talovic. In fact, Talovic did not even own a computer or a video-game system…. Investigators also had not ‘found anything that has religious or political motivation’ or shown that Talovic’s ethnicity was a factor.” (Reavy) His family was deeply saddened by his actions and could not understand why he committed the crime. KSL reported on March 3, 2007, “The family of Sulejman Talovic buried him in his native Bosnia” that same day. The community was shocked and outraged, but joined together and held candlelight vigils, placed flowers, and raised funds for the victims. Members of the community stood united and mourned together. The victims were honored by the government, by flying flags at half-staff and opening the Senate’s floor session by remembering the victims, as reported on by the Deseret News February 16, 2007. Mall owners eventually opened their doors and people gradually began to shop and dine again at Trolley Square. Attendance and business increased as citizens showed their support. Stores have changed, consumer business has fluctuated and Trolley Square was even sold to new owners, but things are looking up. The new owners are investing more money and have since remodeled and built a massive new parking garage. A large anchor store has also moved in and a popular local bookstore has relocated to Trolley Square. The dark day will always remain in the history of Salt Lake but the future looks brighter for the residents and business owners in the area. Trolley Square will continue as a fixture in Salt Lake City. Kyle K. Leete is a junior at The University of Utah studying mass communication with a new media emphasis. Nate Carlisle, “Police around the nation learn from Trolley Square shootings,” The Salt Lake Tribune, March 20, 2012, 1. Zacharia Razavi, “Trolley Square—A Salt Lake City Icon,” Utah Stories Magazine, November 6, 2008. Pat Reavy, “Police, DA give further details in Trolley shooting,” The Deseret News, February 18, 2007, 2. Pat Reavy, Linda Thomson and Joe Bauman, “More details emerging on Trolley Square gunman and victims: State officials, business owners, clergy extend sympathies, offer help,” The Deseret News, February 16, 2007, 5. Ben Winslow, Pat Reavy and Wendy Leonard, “Mall massacre: Gunman at Trolley Square kills 5, wounds others before he’s slain,” The Deseret News, February 16, 2007, 3. “Killer identified as 18-year-old Sulejman Talovic,” The Salt Lake Tribune, February 13, 2007, 1. “Trolley Square: A Brief History,” The Salt Lake Tribune, February 13, 2007, 1. John Goodman, As You Pass By: Architectural Musings on Salt Lake City: a Collection of Columns and Sketches from the Salt Lake Tribune (Salt Lake City: University of Utah Press, 1995). “KSL 5 Eyewitness Weather Tower at Trolley Square,” KSL News. “Trolley Shooter Laid to Rest Today,” KSL News, March 3, 2007. “Trolley Square Shooting Incident Investigative Summary,” Salt Lake City Police Department. In May 1869, the final spike was driven into the ties at Promontory Point, Utah, to complete the nation’s first transcontinental railroad. (Richards, 137) By 1906, railroad tracks crisscrossed the state. Trains were coming and going through many of Utah’s towns, hauling freight, mail, and passengers. As the capital, Salt Lake City had heavy train traffic, but the small, dilapidated depots were inadequate to handle the demand. The grand exterior of the Denver and Rio Grande Depot. 3rd South became one of the busiest streets in the city because of the trolley traffic and the numerous businesses and restaurants that lined the paved lane. Digital Image © 2008 Utah State Historical Society. All Rights Reserved. The Denver and Rio Grande railroad (D&RG) proposed to build a modern depot in downtown Salt Lake. On the 100th birthday (August 20, 2010) of the completion of the D&RG depot, Brandon Johnson, from the National Endowment for the Humanities in Washington, D.C., explained in his keynote address that the depot had initially been opposed by local neighborhoods. Because there would soon be a new Union Pacific Depot several blocks away, they feared the increased congestion and noise. In the end, however, the City Council sided with vocal business leaders and the area was greatly benefited economically by the addition of the D&RG depot. (Arave, 2010) The magnificent Rio Grande Depot, as it is now known, stands as a tribute to a past age in which trains were the arteries of industry and travel across America. 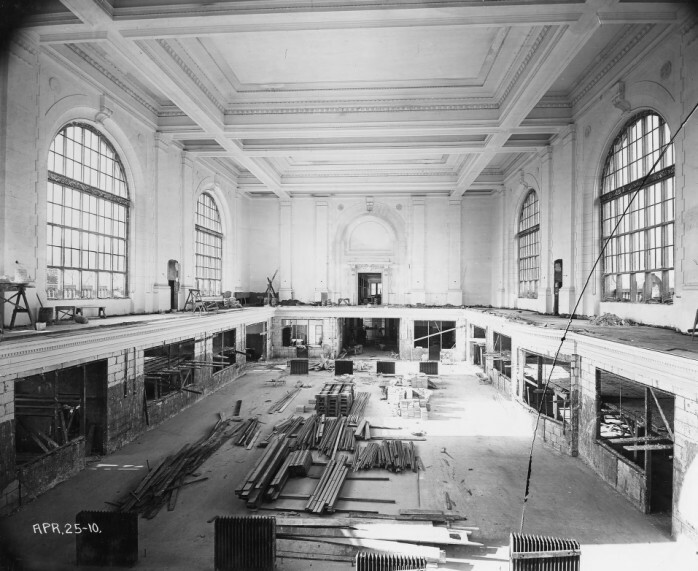 The interior of the depot while it was still under construction. Digital Image © 2008 Utah State Historical Society. All Rights Reserved. The December 15, 1906, Deseret Evening News headlined with the long awaited announcement that George J. Gould, the “Young Colossus of the Railway World” and executive of D&RG, had plans to build a brand new train depot in the heart of Salt Lake City. The article exclaimed that Salt Lake was to be the “great mountain division point in George Gould’s ‘Atlantic to Pacific’ system.” While some residents had been skeptical of the necessity of a second depot, businessmen understood the implications of having two train depots to compete for business. The article articulated the benefits of two depots by explaining that, “It is all indicative of how the kings of finance and industry view the future of Salt Lake.” Clearly if men of great financial means were willing to pour money into large business projects, they had faith in the economic future of the city. On page two of the same newspaper, another article detailed some early plans for the size and style of the building. 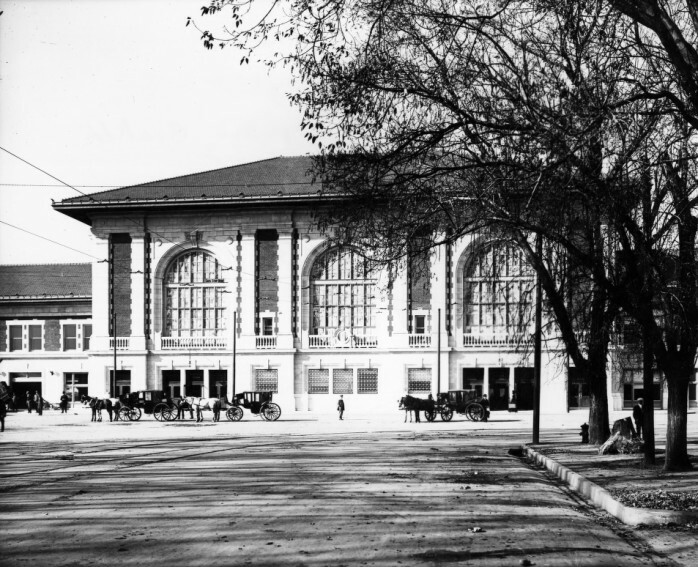 The author described plans for the new passenger depot as “modern” and “up to date” and since Gould “builds for the future,” it would be one of the finest structures west of the Missouri River. This same article in the Deseret Evening News on December 15, 1906, announced the chosen site for the new depot as 3rd South, between 4th and 5th West. An update on the construction of the new depot was given in a January 3, 1909, article in The Salt Lake Tribune that encouraged Salt Lake residents not to worry about financial issues slowing its completion. The author explained that the D&RG executive E. H. Harriman was “watching Salt Lake grow, and while he is watching he is working for that end with all the might of his great financial standing.” Again, the people of Salt Lake had high hopes that their city and state had been targeted by financial titans as a place worth investing in. A common theme among the articles regarding the depot was that Salt Lake was soon to be a burgeoning city. “Salt Lake City will become the commercial metropolis of the west,” claimed an article on page 23 of the August 20, 1910, edition of the Deseret Evening News. Utah industries eagerly awaited the increased routes in and out of the city. An article published in the Salt Lake Herald-Republican on August 14, 1910, described the new depot as a “Golden hopper to feed the city through extensive channels of trade and varied industries which stretch octopus-like east and west.” The D&RG depot would connect Salt Lake with new trade markets along the 20,000 miles of rail lines stretching from San Francisco in the West to Pittsburgh in the East, according to an article on page 22 of the August 20, 1910, Deseret Evening News. That article included many ads for the newly built-up business district surrounding the depot. Acorn Printing Co., the Salt Lake Stamp Co., and the Bicycle Supply Co. were among a few that listed the great deals they would have in honor of the opening of the new depot, which was officially August 20, 1910. The May 15, 1910, edition of The Salt Lake Herald-Republican described how 3rd South was turning into one of the busiest streets in the city. In fact, a brand new hotel, the “Mardorf Hotel,” would soon be under construction to accommodate the swell of visitors the D&RG depot was expected to bring. The modern interior with chandeliers, elegant woodwork, and green opalescent arched windows. Digital Image © 2008 Utah State Historical Society. All Rights Reserved. With only days left until the first trains would pull into the depot, an August 14, 1910, article in The Salt Lake Tribune listed some facts about the new building. As promised back in 1906, Gould never did anything halfway and the estimated cost of the construction was over $750,000 (more than $18 million in today’s dollars). Other businesses had also been building up their infrastructure to take advantage of expanded opportunities. The Utah Light & Railway Co. had built a new streetcar line to the depot to facilitate travelers coming and going, announced The Salt Lake Herald-Republican in July 1910. On the morning of August 20, 1910, the first passenger train rolled into the Denver and Rio Grande Depot in Salt Lake City. The structure was a magnificent edifice built by the famed Chicago architect Henry J. Schlacks, according to the August 14, 1910, edition of The Salt Lake Tribune. The article also detailed the beauty of the exterior of the building as consisting of white Colorado Yule Marble at the base that was contrasted wonderfully by red New Jersey rain-washed brick that made up the walls. Goodwin’s Weekly described the interior of the building as corresponding “in beauty to the exterior,” in its article published on the long awaited opening day. The spacious building’s main hall was illuminated by “three immense arched windows on each side through green opalescent glass,” which gracefully complemented the brownish-red and gray color scheme. 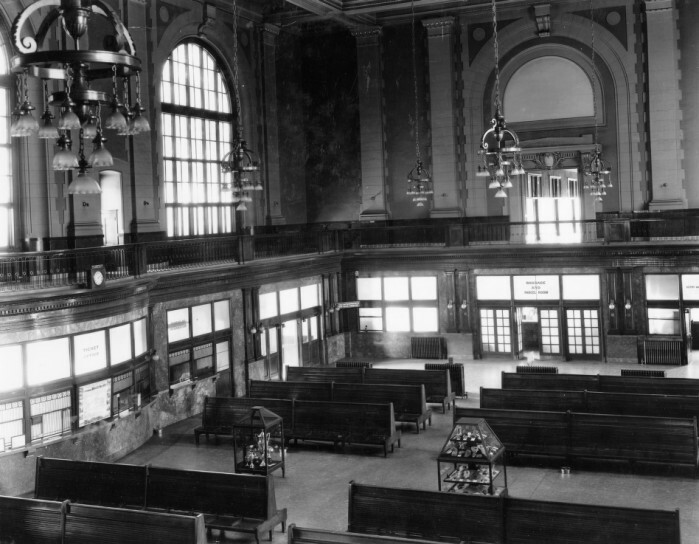 The Tribune’s August 14 article also gave a long list of the depot’s amenities, including: baggage/parcel rooms, a men’s smoking room, a women’s retiring room, a restaurant, and telegraph and telephone offices. Covered platforms lined the tracks behind to the depot to protect travelers from the elements of snow, rain, and sun. It was the most modern and completely equipped union passenger depot of its size in the country. Travelers to the city would now be greeted with a grand sight that lent credence to the city’s ever burgeoning economy. 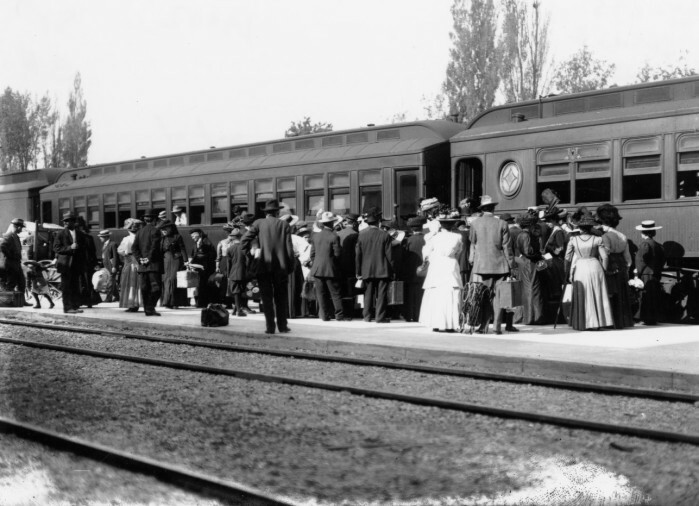 Passengers line up to board the first train on the opening day of the Denver and Rio Grande Depot. Digital Image © 2008 Utah State Historical Society. All Rights Reserved. George J. Gould’s foresight to build a magnificent and costly depot in the heart of downtown Salt Lake City helped to mold the economic destiny of a state and its people. The architecturally elegant Denver and Rio Grande Depot brought not only pride to city residents, but also brought prosperity to Utah in numerous ways. New shops, restaurants, and hotels benefitted from the increased number of travelers to the city. The expanded rail lines opened new trade markets for Utah’s entrepreneurs. To this day, over 100 years since the official opening of the depot, residents of Utah look upon the Rio Grande Depot as a monument to the perseverance and ingenuity of a generation past. While the Depot no longer acts as a hub to an artery of trade, industry, and travel, it stands as a tribute to the capitalist nature of America that took Salt Lake from a desert valley in 1847 to a thriving, prosperous city that played host to the world for the 2002 Olympic Winter Games. And though long past its prime in terms of age, the Denver and Rio Grande Depot has not been retired into the abyss of vacancy; it now houses the Utah State Historical Society, which helps to preserve our past so that we can have a more prosperous future. Kelsie Haymond graduated in May 2012 in Mass Communication from the University of Utah. “Gould Now Spans American Continent,” Deseret Evening News, August 20, 1910, 23. “The New Denver & Rio Grande-Western Pacific Union Depot Opens its doors Today,” Deseret Evening News, August 20, 1910, 22. “Mining and Financial,” Goodwin’s Weekly, August 20, 1910, 3-4. “A New Epoch For Salt Lake,” The Salt Lake Herald-Republican, August 14, 1910, Section Three, 1. “Epoch in Utah’s History Is the Opening of Western Pacific and New Gould Terminal in Salt Lake,” The Salt Lake Tribune, August 14, 1910, 3. “Gould Limited to be a Fine Train,” The Salt Lake Herald-Republican, July 20, 1910, 5. “Third South To Be A Busy Street,” The Salt Lake Herald-Republican, May 15, 1910, Section Two, 1. “Prosperity on Denver & Rio Grande,” The Salt Lake Tribune, January 3, 1909, 77. “Superb Terminal Station For the Gould Railroads,” Deseret Evening News, Art Section, December 15, 1906, 2. “Dawn of the Era of Salt Lake City’s Greatness,” Deseret Evening News, Art Section, December, 15, 1906, 1. A silver sledgehammer and golden spikes were used to complete the project, and on the final spike there was a silver plate with the inscription, “The last tie laid on the completion of the Pacific Railroad, May 10, 1869.” (Derby, 352) After a ceremony and celebration, the golden spikes were taken out and replaced with regular spikes, driven by a standard hammer. (Deseret News, May 18, 1869) At the time, this was considered to be one of the greatest industrial feats ever achieved. Now, the site where the two railroads met in 1869 is the Golden Spike National Historic Site, and although the section of track at Promontory, Utah, is no longer in commercial use, visitors can see reenactments of the trains coming together on a daily basis, through the use of replicas of the Union Pacific’s No. 119 and the Central Pacific’s Jupiter locomotives. Keith Thomas is a communication major at The University of Utah. He is planning to graduate with his bachelor’s degree after he completes fall semester 2010, after which he is planning to join the Navy and sail the open seas. E.H. Derby. The Overland Route to the Pacific. Boston: Lee & Shepard, 1869. George W. Pine. Beyond the West. New York: T.J. Griffiths, 1870. Union Pacific Railroad and Connections 1870. Map. Robert G. Athearn. Union Pacific Country. Chicago: Rand McNally, 1971. Andrew J. Russell. East and West Shaking Hands at Laying of Last Rail. 1869. 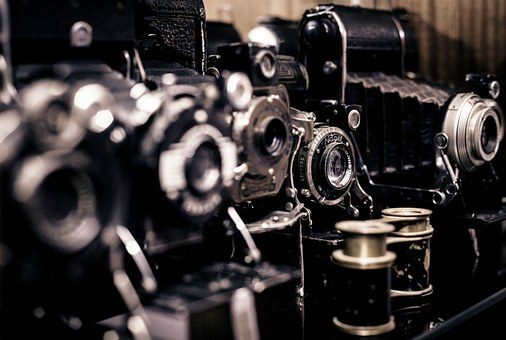 Photograph. National Park Service. “The Pacific Railroad,” The New York Times, May 12, 1869. “The Proceedings at Promontory Summit,” The Deseret News, May 19, 1869. Union Pacific Railroad 1867. Map. N.F. Mraz. Union Pacific Railroad Collection. Promontory, Utah. 1969. Photograph. George Kraus. High Road to Promontory. California: American West Publishing, 1969. Robert M. Utley. Golden Spike. Washington, D.C.: US Government Printing Office, 1969. In 1869, a momentous event occurred in Utah history, the completion of the transcontinental railroad at Promontory, Utah. What the union of these two lines would mean for the state was uncertain, but certainly inspired a lot of excitement, conflict, and hope. The primary means through which Utah residents learned about the construction of the line, and the implications of its completion, was through the LDS church-run Deseret News. The manner in which The Deseret News as well as local authorities presented the construction of the railroad was of paramount importance in terms of the lasting effect that the construction itself would have. The conflict between the Central Pacific and Union Pacific railroad companies, details about the construction and its dangers, as well as the threat of outside influences were newsworthy issues that were regularly reported in The Deseret News. Through the use of these editorials and articles, the LDS church was able to establish an economic policy that solidified their culture and secured their settlements in Utah. The construction of a hand-made track between the seas spanning all sorts of terrain is a veritable engineering feat by any standard, even today. This notion was the primary focus of most other accounts of the railroad construction as published in local papers. (“End of Track U.P.R.R.”; “Work on the Railroad”; “The Pacific Railroad Bill”) What was happening all around these people, from the masses of workers, to the triggering of explosive charges was not commonplace anywhere. They were living in the midst of something great, and they knew it. Young stressed the importance of importing raw materials for the production of consumer goods, rather than exporting raw materials to be processed outside the settlements. Adherence to these policies guaranteed that an individual and their family would be taken care of by the church, as was the nature of their community, and straying from them could mean excommunication. (Arrington, 147) Young forbid church members from trading with, or purchasing goods from non-Mormons. Young said, “We are going to draw the reins so tight as to not let a Latter-day saint trade with an outsider.” (Quoted in Arrington, 147) Policies like this were fairly effective in maintaining their society in which what is good for the whole was good for the individual. On May 10, 1869, the line was completed. The proceedings at Promontory were a highly publicized event, with more than twenty newspapers represented. (Bowman, 97) While coverage of the proceedings was great, much of it was speculation, as it is believed that fewer than twenty people were actually able to see the spike driven or hear the addresses spoken. (Bowman, 97-98) However, much of the ceremony was actually seen by the reporter from The Deseret News, whose description of the events was nothing short of beautiful. “The meridian hour has come and on the expansive and lofty plateau, at the summit of the Promontory, a scene is disclosed in the conception of which every exultant element of humanity is revivified.” (“The Proceedings at Promontory Summit”) Whatever reservations about the railroad the church may have had, they presented its completion with only the most optimistic of coverage. In terms of facing the potential threat that the construction and completion of the transcontinental railroad posed, no tool was more useful to the Church of Jesus Christ of Latter-day Saints than their newspaper, The Deseret News. Through their use of the paper, the Church was able to inform members of general news about the construction, and the way in which they should deal with issues that were bound to arise with the population change that the construction would bring. Through their editorials and articles, church leaders were able to have their people benefit from the construction, yet remain somewhat insulated from outside influence. These early Mormon economic policies changed the way that Utah’s economy developed, the effects of which are still visible today, in how many local industries remain throughout the state. Editor, “End of Track, U.P.R.R.” Daily Deseret News, April 23, 1869. “The Proceedings at Promontory Summit,” Daily Deseret News, May 16, 1869. Editor, “Work on the Railroad,” Deseret News, November 17, 1868. Saxey, “Correspondence: Promontory, near Cedar City,” Deseret Evening News, March 25, 1869. “The Pacific Railroad Bill.” Deseret News, April 28, 1869, 6. “By Telegraph,” Deseret Evening News, May 12, 1869. Editor, “The Railroad — Changes It Will Produce,” Deseret News, August 10, 1868. Leonard J. Arrington. “The Transcontinental Railroad and Mormon Economic Policy.” The Pacific Historical Review 20, no. 2 (1951): 143-57. J.N. Bowman. “Driving The Last Spike: At Promontory, 1869.” California Historical Society Quarterly 36, no. 22 (1957): 97-106. Martin Mitchell. “Gentile Impressions of Salt Lake City, Utah, 1849-1870.” Geographical Review 87, no. 3 (1997): 334-52. August C. Bolino. “Mormon Philosophy and Practical Railroad Building.” The Business History Review 32, no. 4 (1958): 407-22. The year 1869 was a landmark year for Utah. With the completion of the transcontinental railroad, traffic to the West was now open and people made passage to Utah. This included many of the Chinese, who had been workers on the railroad and were paid minimal wages. Many of the Chinese moved where “economic opportunities were.” The railroad along with merchants offered many job opportunities in Utah. By 1890, the Chinese population grew to an estimated 806 people; often they were concentrated in small areas. (Dirlik, 269-275) This resulted in the creation of Chinatowns in Utah. According to Dirlik, Chinatowns offered “a place of security comfort and cultural familiarity.” (Dirlik, 271) Many men felt that they were in a strange country with unfamiliar customs. With the growth of Chinatowns in Utah, so grew the Chinese influence, customs and traditions in the area. In fact, many white men and women adopted the habit of smoking opium after a long day of work as a way of relaxing their mind. Opium is a substance that is extracted from the sap of a poppy seed; it is a tar-like substance that is smoked and gives feelings of euphoria. On January 7, 1857, The Deseret News reported on the “Effects of Opium.” The article described it as a “wasting of youth, health, strength and those who begin its use at 20 can expect to die at 30 years of age.” One user described his experience with opium: “The pleasurable sensations and imaginative ideas arising at first soon pass away — they become fainter and fainter, and at last entirely give place to horrid dreams and appalling pictures of death.” This encyclopedia entry will focus on the rise and fall of opium dens in Utah and the role that they played in Utah’s history. As Chinatowns continued to grow, so did the influence of opium. The drug was often stored and smoked in underground dens, thus making it harder for authorities to find them. Opium was becoming so popular that it eventually worked its way into white society. On February 7, 1883, The Deseret News reported on “Opium Traffic.” The reporter was amazed at how the use of opium was increasing among “civilized nations.” The claim was made that, “where alcoholism had been abandoned, opium in various forms has been adopted as a substitute in a large number of instances.” As the use of opium grew so did the amount of dens. Commercial Street was located in Salt Lake City, which often housed many opium dens in a concentrated area. “Chinese Dicks” and “Quong Wah Sing” were two of the dens, which happened to be next door to each other. One could often find twenty to thirty people housed there on a given evening. On October 8, 1883, The Deseret News reported on opium dens in a story headlined, “A Visit to A Couple of Chinese Haunts.” The reporter described the den as he was walking in: “Light down a dark narrow stairway, the atmosphere of which was musty and unwholesome, an underground apartment was reached. The sides cased with rough boards, and around the room were large shelves covered with matting on which the opium smokers recline.” It became so accessible that opium cost 25 cents a pipe; anyone who was willing to pay regardless of age, race, or gender was welcome. Often these dens become dangerous places for young girls. With the law finally on their side, officers could start cracking down on the dens. They were determined to find and shut down all access to opium. Many of the dens were found in Plum Alley, which ran north from 200 South to 100 South between Main Street and State Street. There was so much opium and so many arrests that police had trouble keeping track of inmates. One instance of this occurred on January 22, 1900. The Salt Lake Herald reported on one of the inmates named John Wah. Mr. Wah was a trustee to the jailer, and was turned out into the yard as a trustee. By the second day he felt the itch for opium so he “hot footed” it to Plum Alley where he got his fix. He returned to the jail on his own free will by suppertime. After his return he received a beating from the jailer. Mr. Wah promised to be good and follow the rules. The next day Mr. Wah was missing again, but this time he would not return and the jailer would not find him. Often, if the person could not afford the fine he or she would have to do the same amount of days in jail as their fine. Raids on opium dens would continue until 1910 when they slowly started to fade away along with Utah’s Chinatowns. Looking back through Utah’s history we can see how opium dens played a large role in what was happening in white society, Chinese environments and with the youth. Opium came to Utah with the Chinese and was abused for more than forty years by all types of people disregarding gender, race or age. As laws were passed and efforts were made by law enforcement opium dens had their demise. Jed Piercy is a student at The University of Utah. He is majoring in mass communication. “Opium Dens, a Visit to a Couple of Chinese Haunts,” The Deseret News, October 8, 1883. “Raided Opium Den,” The Deseret Evening News, October 2, 1901. “Raided an Opium Den,” The Salt Lake Tribune, January 26, 1897. “Effects of Opium,” The Deseret News, January 7, 1857. “The Opium Traffic,” The Deseret News, Febuary 7, 1883. “Wah Couldn’t Go On Without His Opium,” The Salt Lake Herald, January 22, 1900. “Tried to Smuggle Opium,” The Deseret Evening News, October 9, 1900. “Openings for Christian Missionary Labors,” The Deseret News, May 23, 1883. Arif Dirlik. Chinese on the American Frontier: Lanham, Md. : Rowman & Littlefield, 2001. Andrew Kirk. “Dens of Hell in the Cities of Zion.” Journalism History (Winter 2010).